When I started writing this blog post last week, I was sitting on a bench next to a pond in San Anton Gardens, breathing in the lovely smells of flowers, feeling a mild spring breeze in my hair and watching the birds fly in the sunshine. Now I finish it sitting it in the same spring sun next to the sea with my darling Zoe playing happily away in her pram next to me. Have I ever imagined mummy life like this a few months ago?? Nope, I definitely haven’t. Sometimes I even think it’s too good to be true… And while I know from my fellow mummy friends that in a few weeks things might change drastically when our babies start to crawl and walk I’m even more devouring these quiet, peaceful moments in the now 🙂 . Chilling in Gozo with my parents. Zoe loves the sea just as much as we do. A few days ago our little sunshine turned 7 months. Yes, of course she still wakes up at night and interrupted sleeps are part of my life, and yes, even though Zoe is a very happy and content baby, she also cries at times but all in all I must officially say I’m a freaking happy and grateful new mum and I fall in love with being a mummy even more every day. Who would have ever imagined the love I would feel? The worry when Zoe sleeps so deeply that I have to check her belly breathing (yes, paranoid. I know)? The joy when she cracks a huge smile as soon as I open the door to her nursery in the morning? But also the peace and tranquility when she’s nursing or napping and allows me to have a bit of time to myself, to sit next to the sea like now and to give me a chance to breathe, think, reflect and to feel happy, free, inspired and open. Have I ever sat on a bench in a past just enjoying the moment and being grateful so much? A baby definitely changed my perspective on many things. I take each day by each day. Each night by each night. I try to go inside myself more often and listen deeply to myself: Am I happy? Am I doing the right things? Am I taking the right decisions? I’m a strong believer in the sayings “Happy mummy – happy baby” and “You have to be happy to make others happy” so I try to live accordingly to them. What I’m definitely learning at the moment is to put ourselves first. Not to always please others, always doing others a favor, learning to say no – it’s a hard lesson for me but I’m getting better. I also think much more about my own childhood than ever. How our parents raised us and what a great influence it makes later in life. Recently my parents came to visit us in Malta and for the first time I was consciously aware of how incredible it must be to see you own child have their own baby. The gift of life is something so incredible and I catch myself more and more reflecting on it. What will our future be like? What will our children’s future be like? Every topic on sustainability, be it protection of nature, saving the planet from too much rubbish, overfishing of the sea, politics, wars, terrorism, diseases like cancer on the rise.. The list goes on and on. Every time my head starts spinning by all these thoughts I gently remind myself that all we can do is be aware of the now, be grateful for every moment and every day and trying to be happy, sharing the happiness and enjoying the little joys of life to the max ❤ . Yoga has helped me learn this over the last years and little Zoe teaches me to do it even more! I remember my dear friend saying at our wedding ceremony “Shine brightly, together” and I think it’s important passing this on to our children. u don’t have strawberries at hand you can also try other berries like raspberries, blackberries, blueberries etc. You can add different notes of flavors likes orange blossom water, rose water, vanilla, cinnamon – play with it! Mash or roughly chop washed strawberries depending if you like your chia jam rather fine or chunky. Heat them up in a small pot on medium heat, I added some blueberries which I had to use up but only strawberries are fine, too. Add a bit of fresh orange or lemon juice, the sweetener of your choice and let it simmer for a few minutes until it reduces and gets nice and thick. Turn of the heat. For a raw version simply blend it all in a processor instead. Now add the chia seeds and let it stand for a while. The longer it stands the thicker it gets but I’d wait at least 15-20min. If you’re hungry and want to eat your fresh jam right now – go for it and enjoy it some home baked bread or simply brown toast with a lovely cup of tea! Alternatively store it in a jar in the fridge and use it as a yummy topping on your bfast or on your greek yoghurt as a snack. It even goes well with a nice goat cheese and with these temperatures it would also be a lovely topping on some banana or chocolate ice cream (recipe here). Hope you enjoy it and have a lovely new month ahead! For regular food inspiration don’t forget to follow my Facebook fan pay or Instagram. Big love & thanks for reading, lovely people! P.S. I’m also taking new clients for private cooking classes, and an exciting workshop on yoga and healthy food for mummies is in the works so watch this space or get in touch with me for more info. The calm before the storm..
It’s already a week ago that we went to Gozo for our last little weekend trip before baby arrives and I don’t want to miss the chance to praise the cute gem which we found in Ghasri: B&B Dar-Tal-Kaptan. Don’t miss to scroll down further for a yummy smoothie recipe and lots of book tips and recommendations how to help pregnancy the natural way. Breakfast let my foodie heart beat faster. 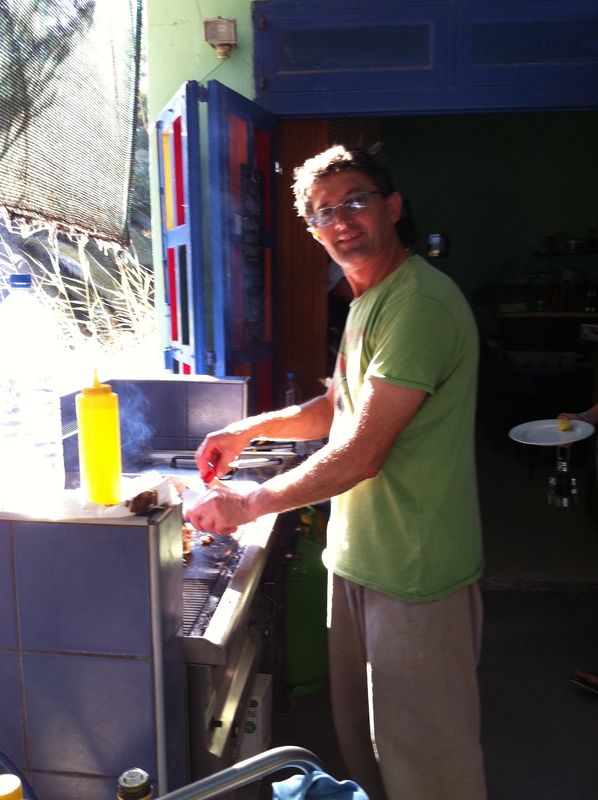 Next to all the usual things like cold cuts and cheeses, fresh fruit and veg, yoghurts, muesli etc Warren made us a different healthy smoothie with interesting combinations in his Vitamix and freshly prepared eggs every day. When you decide to just chill and read at the pool like us (see book tips below), you’ll get cold flavored water with fresh herbs from the garden (think rosemary and lemons) and a little surprise during the day like slices of frozen melon (such a simple and yummy idea!) or an organic apple sorbet. Peter and Warren are always up for an interesting chat when you feel like it but give you total privacy at the same time. With joy I remember inspiring conversations about food, yoga and traveling… 🙂 It was the perfect place for us to just relax in their wonderful garden, paddle on a lilo in the refreshing pool or reading on a sun bed in the shade and enjoying the sound of the palm trees in the wind and the green around us. To guarantee absolute relaxation the B&B generally has a no child policy but when you book all 3 rooms you can bring children which we’ll definitely try to organize with our friends in the future. Of course I also had to recreate a bit of a twisted version of Warren’s smoothies, so here comes a yummy new recipe for a healthy smoothie. This book is pure bliss and positivity for the bump, heart and soul, even if you’re not into yoga and mediation – I promise. 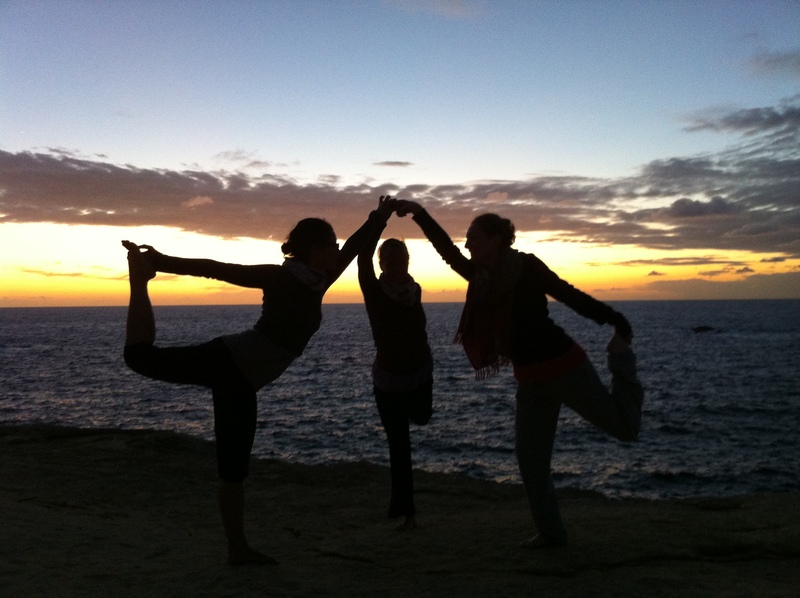 Recommended by my lovely Prenatal Yoga Malta teacher Sarah at the wonderful freemyme in Sliema. Recommended by German speaking friends this book is like the bible of natural oriented midwives. Full of tips about herbs, teas, essential oils, homeopathy etc. So so happy I listened and bought it! So far in German only which is a real pity – maybe I should approach the author and propose to market it in English speaking countries 😉 Many of the herbal tea and oil mixes you can even buy in pharmacies in Austria and Germany so I asked my mum to send me some. But at least I found some good sources for homeopathy and essential oils here in Malta as well if you’re looking for some get in touch with the lovely homeopath Ashley from Tigne Holistic Centre or the always helpful Charlene from Soap Cafe. This list of recommendations would not be complete without mentioning Robert Grech from Osteopathy Malta who helped me several times with an existing hip issue which came up again during my pregnancy and was sorted out completely within a few appointments. Yep, you don’t have to suffer physically, just because you’re pregnant – just get help and do something against it! Also, thank you to Dini Martinez, a lovely friend, yoga teacher and experienced doula who travels the world with her family on a sailing boat (check out Sailing Yoga Family) for holding a great workshop on pregnancy and birth a few months ago which was really inspiring and helpful, too! Last but not least I also want to say that I’m really impressed and positively surprised by the 7-week-parentcrafts-course organized by the Malta Midwives which is available for free at Mater Dei Hospital. I didn’t expect a lot and took out heaps and heaps of great information. Keep up the great job ladies! Now all I can say is that I’m super excited and I hope all these preparations will help our big event ahead and maybe help some of you, too. Of course you can never really be fully prepared and everything can always go differently all the time but in the end I think it helps to know what’s gonna happen, what you can do to help to do it the natural way and to tell yourself you prepared yourself as good as you can. Let’s just hope it will all go well with the final spurt, birth and afterwards and I’ll definitely keep you posted.. One thing I know for sure, it was an amazing process and experience so far and I’m super grateful for all the love around me (you know who you are! ), all the things I learned so far and look forward to the new chapter ahead! If you have any questions don’t hesitate to get in touch with me via the blog or the nadisunshine FB page. Vegetarian Yoga Retreat Recipes. 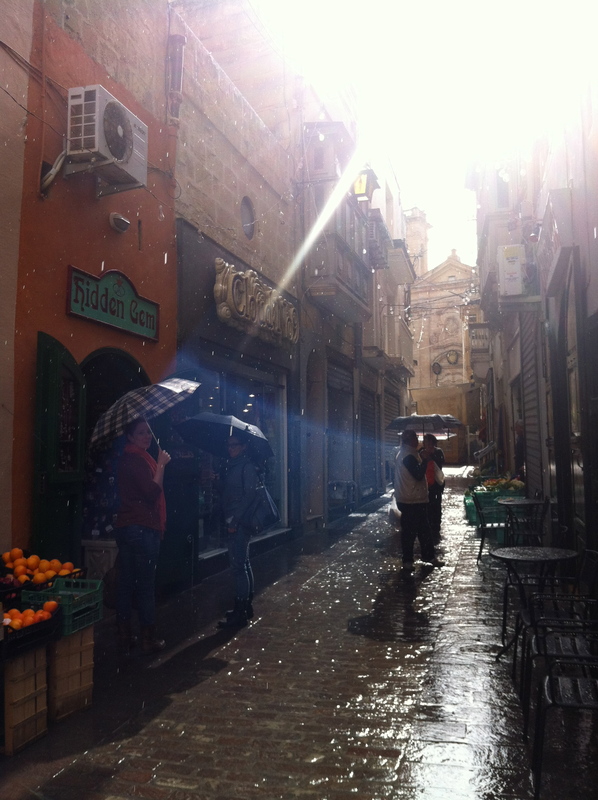 Nadisunshine goes Gozo. Before we all dive into the yearly xmas craziness it’s time to share some of the recipes I cooked at Michelle Bartolo’s yoga retreat in Gozo earlier this month. Whenever you feel like you’ve overindulged, which happens to most of us at this time of the year, take a day or two (or three ;)) in between to balance it out again and get rid of all the acidity and toxins in your bodies. Keep it really light, avoid all processed sugars, dairy, alcohol and caffeine and stack up on veggies, fruits and grains. Start your day with warm lemon water, prepare yourself some healthy meals, drink lots of teas or water, do some yoga and mediation in the morning and/or evening and give your body and soul a little axtra love and time to recover. Thanks again to my friend Michelle for giving me the opportunity to bring my cooking to you lovely yogis and yoginis! It was a pleasure to meet you and cook for you all 🙂 If you’re interested in one of Michelle’s retreats, check out her website or Facebook page. 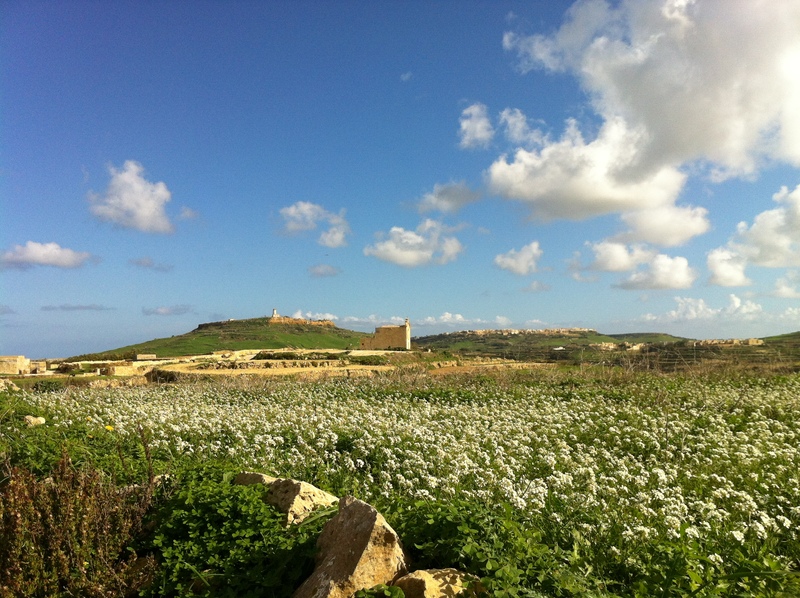 I’ve been to many of her retreats in Gozo and can’t recommend this gift to yourself enough. But now let’s get started with some of the healthy recipes of our yoga weekend. Wash the apple and basil, peel the orange. Start filling the blender with the softer ingredients and then add the harder ones on top, like this it blends easier. Top up with water, add the rest and blend until smooth. Mix all ingredients in a big box or jar (apart from the toppings). When you want to have breakfast, take out 3 table spoons per person in a little bowl (seems little but soaks up nicely), top it up with hot water or dairy free milk, let it stand for a bit (10min minimum, no maximum) and finally add some fruit, a drizzle of oil and toppings of your choice. As I said, play with the mix – you can add or skip ingredients and see what you like best. Only the oats and chia seeds I wouldn’t skip as they are the base for a nicely soaked up muesli. Enjoy and have some great energetic mornings! Use any old jar with a lid. Mix the chia seeds with the milk and add all other ingredients apart from the pear. Close the lid tight, shake it well and let it rest for at least 60min. Shake it a couple of times in between to avoid clumping. If you find a clump, loosen it with a spoon/fork. After 30min you can already see how the seeds swell. The pudding gets thicker and thicker over time. I normally even put it in the fridge overnight so I have it ready for bfast. As a result you’ll get a creamy pudding which can now be served in any kind of way. I warmed it up for you in the morning which is nice and comforting, especially in fall and winter. Garnish with pear and sprinkle with cacao nibs and enjoy your probably healthiest pudding ever! Peel pumpkin, remove the seeds and chop up roughly. Melt the coconut oil in a pot and start roasting the pumpkin. Top up with stock, coconut milk and add all spices. Let it simmer on medium heat for about 20min (or until soft). Switch off the heat and puree directly in the pot with your hand-held blender. If it’s too thick add a bit more stock. Season to taste with salt. For the topping heat up a small frying pan on medium heat and start roasting the seeds with a tiny bit of coconut oil. After a little while squeeze the lemon and add tamarin but just enough so it’s soaked up. You don’t want it too liquid. Turn off the heat and sprinkle on the soup. Additionally you can also roast some butternut squash slices in the oven and use them as a topping for your soup or on a nice side salad. I always love a bowl of greens with my soup. Just coat squash with a bit of coconut oil, sprinkle with cumin, cayenne pepper, salt and roast it for about 20min at 190°Celsius. 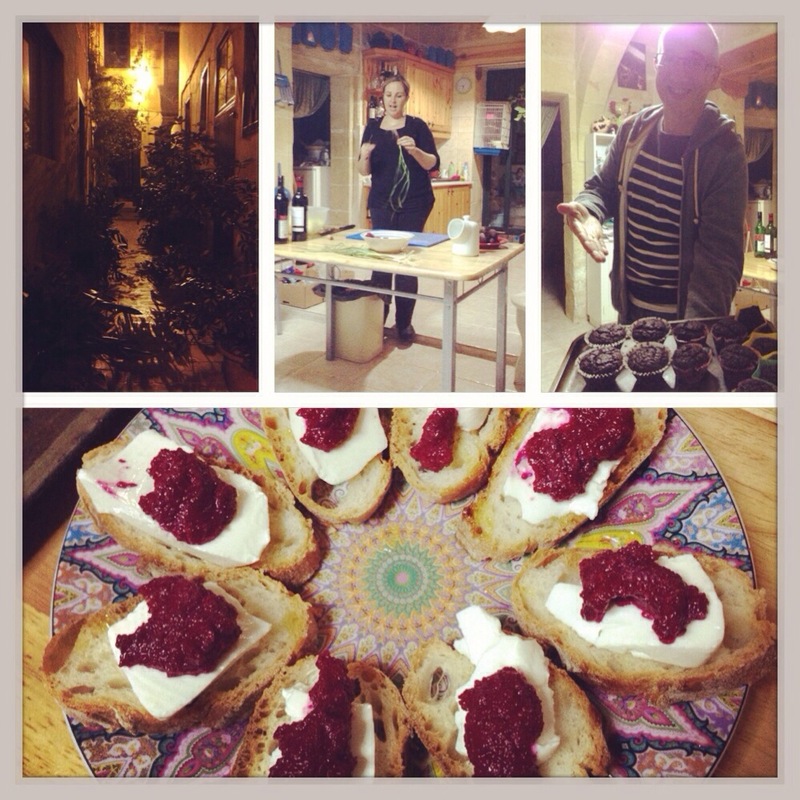 If you wish any other recipes of our weekend retreat, just let me know and I’ll happily post them at a later stage! Lots of love & sunshine and may you get healthy and happy through the festive season!!! I love cooking classes. They are inspiring, you learn new things, share your thoughts and experiences with other foodies and try new things outside of your own box. Claire’s cooking classes in the heart of Victoria are so much fun. It’s all mentioned above and so much more. It’s like a little piece of Gozo. It’s authentic, unpretentious and delicious. It’s casual still professional and foremost charming. For me coming to Gozo always means popping in at Mojo’s (her restaurant/cafe) in Victoria but from now on also attending on of here classes. That’s a promise. Tonight’s class had a focus on beet root. We made a delicious soup of beet root with green apples, beet root relish, beet root pickles as well as a beet root Valhornona chocolate cake. Thank you and keep up the great work, Claire! everytime i come back to gozo i fall in love all over again. this was my first time in fall and due to several rains in the last couple of weeks the little island was lush and green as i’ve never seen it before. blooming meadows, abundant fields, blue skies and just the perfect weather for our yoga retreat with my dear yoga teacher and friend michelle bartolo. our lovely host not only offered us great and energetic yoga twice a day, also the accomodation close to ta pinu church near gharb was just gorgeous to relax and enjoy. definitely a must for all yoga and nature lovers! in the free time there was enough time to explore the island once again, this time less beaching and swimming but hiking around the lovely villages of gharb, visiting exhibitions of local artists, shopping (i went a bit cou cou in organika in victoria ;), coffee & lunches and yummy dinners. the culinary highlights were definitely once again maji’s (i wrote about it in summer), a sicilian place called panzier, the clock house, a cute little café run by the super friendly & cute monica and mojo’s, which is just opposite arkadia shopping centre. mojo’s was actually the nicest suprise of all at the very end of the week as it just came out of the blue with a lovely meal from the beginning to the end (chai tea cookies – yum yum). they just opened the place for the daytime one month ago and have very special breakfasts from crumpets to healthy mueslis and pancakes but also offer delicious lunches & snacks, everything with a special twist and nice service. why can’t this place be in malta?! the chef is claire borg who also gives cooking classes and writes for food magazines like TASTE and THE FOODIE. will definitely try to make it to one of here classes to get some inspiration!! all of those places can be found easily in victoria. so this was it for this time. 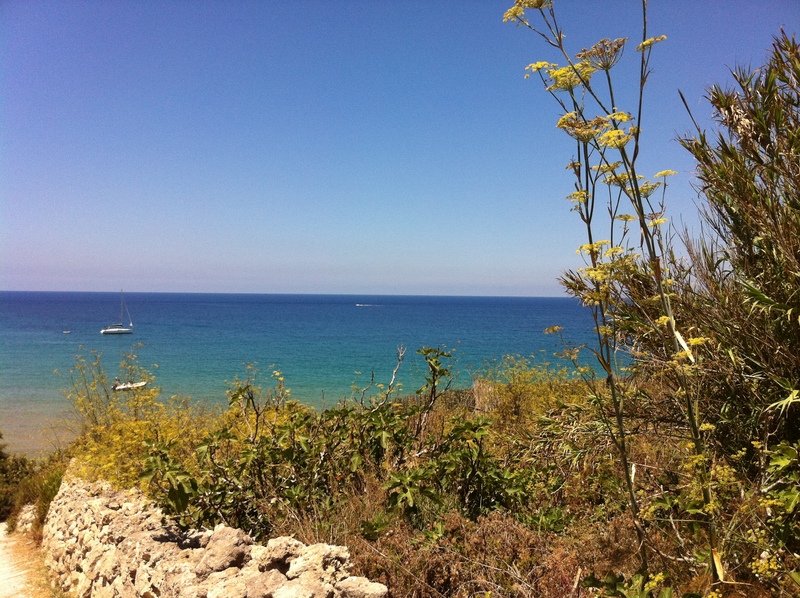 as you can see… the week in gozo was just divine. and i can’t wait to come back soon! let’s start with the best 😀 this was absolute my favourite place of the holiday. a hidden gem in a tiny bay, located under some shady trees this place is a very low key, casual restaurant for yummy seafood and wine. the prices are not low key at all, but it doesn’t really matter, as we are used to spend that amount of money for a nice meal in malta, too.. the lovely family run restaurant just wins your heart with their very simple charm and just the freshest ingredients. my favourite was the vongole with orange and a glass of crisp greco di tuffo. can it get any better??? my second favourite of this holiday. unfortunately we went there on a very windy day so the terrace was closed, but i still sneaked up the stairs and the view was just amazing. bit disappointed we got a table inside, but the food and the lovely service made it all up. again: super friendly staff, top reaction after we claimend about the wine (why don’t all the restaurant owners understand that this is one of the most crucial situations how to make your customers really happy!?) and some amazing food. 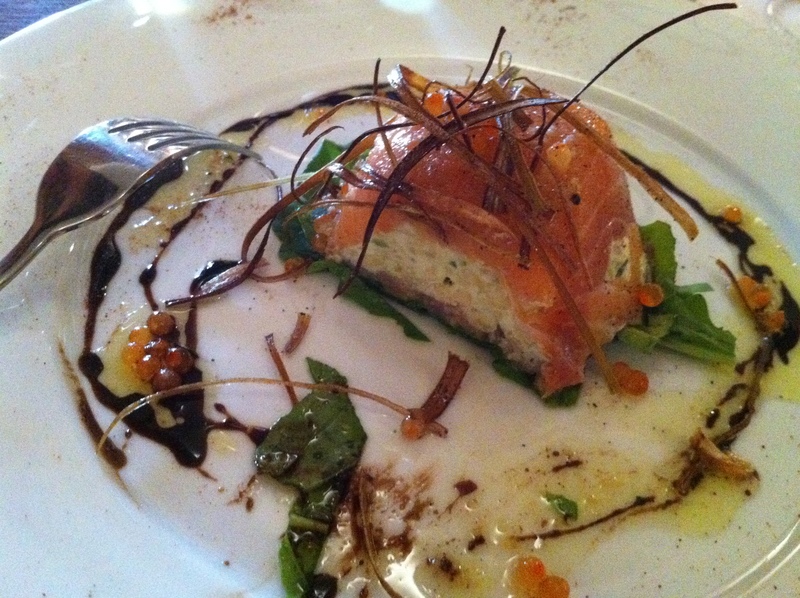 my favourite: the terrine of salmon and cream cheese.. hmmmmmmmmm! not sooo special: all the restaurants at xlendi bay. they all have really good ratings on trip advisor, but in comparison to the ones i mentioned above i don’t get it why they have all those top ratings. maybe it’s just too busy there… don’t get me wrong, we tried them all and they were all quite nice (again: service, wine, complimentary bruschette before your meal etc.) but still nothing super special. what i appreciated though was that home made pasta is very popular there and also the salads are always super fresh and yummy on a constant level (mixed greens, gozitan capers, bright red tomoatoes and sometimes even some fresh gbejna, the gozitan cheese, – yum!). out from all those places (zafiro, boat house, il-terrazzo, ta’ karolina, stone crab etc.) i liked zafiro most (watch out for the amazing musician who sometimes plays the guitar there and sings!) and stone crab least. 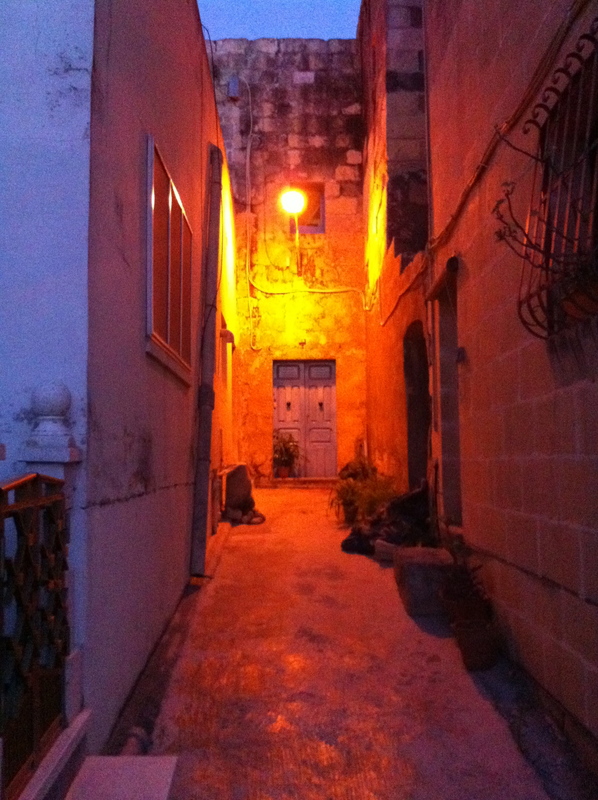 gozo – i’ll be back soon…. With ❤ from Italy 🇮🇹 My favorite holiday tips. Shhhht! Why has it been so quiet in here? About magical surprises, love and of course food..
Lovely lentil salad with a twist: Puy lentil salad with roasted beet root & curcuma cinnamon dressing. Scrumptious Sweet Potato Dhal. To a happy, healthy and blissful New Year. Chez Nico in Innsbruck, Austria. Pure vegetarian bliss! Bananarama – orgasmic raw ice cream. The healthiest bfast which looks & tastes like a yummy dessert..
Tastes like spring – even if it rains. Ready to start into an alkalizing spring?! Perfect fingerfood for your holiday buffet. A note to myself about OKRA. Chia seed pudding with fresh fruit & goji berries. 1 – 2 – PESTO!!! Summer buckwheat salad with grapes, walnuts & feta cheese. 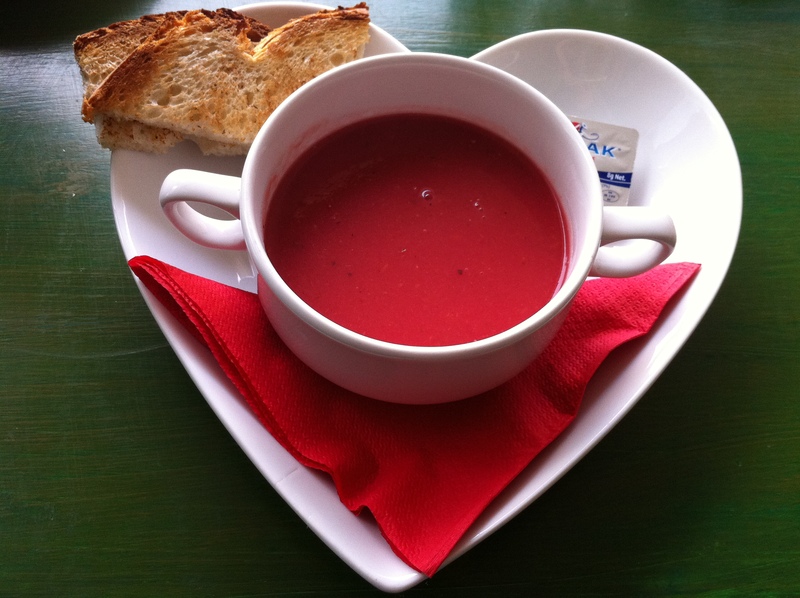 Welcome back with a cool & refreshing melon soup! 6 weeks detox nearly done, a review and about the lovely exceptions in life. At the end of diet week 2, a new favorite place and a yummy healthy dessert. Detox week 1. A first conclusion & a lovely new favourite salad. tabuleh salad with roasted veg, walnuts, tahini lemon dressing & falafel. are you ready to crumble? today: rhubarb & cardamom against ginger & vanilla. Thai holiday on a plate. broccoli salad. keep it simple. ‘ wurstnudeln’ a simple but delicious pasta. In Xmas mood but craving light food! Vienna – Always a culinary pleasure. pumpkin with lemon pepper & fresh orange. the favourite of this year’s soup season so far..
in the cooking mood for spring food. and so this was christmas… and a happy happy heavy month. the wanna try to be good girl. first fight. then love. my first time with a butternut squash. veggieheaven…from pomgranate to beet root, from carrots to spinach. cool designs for your ikea furniture!